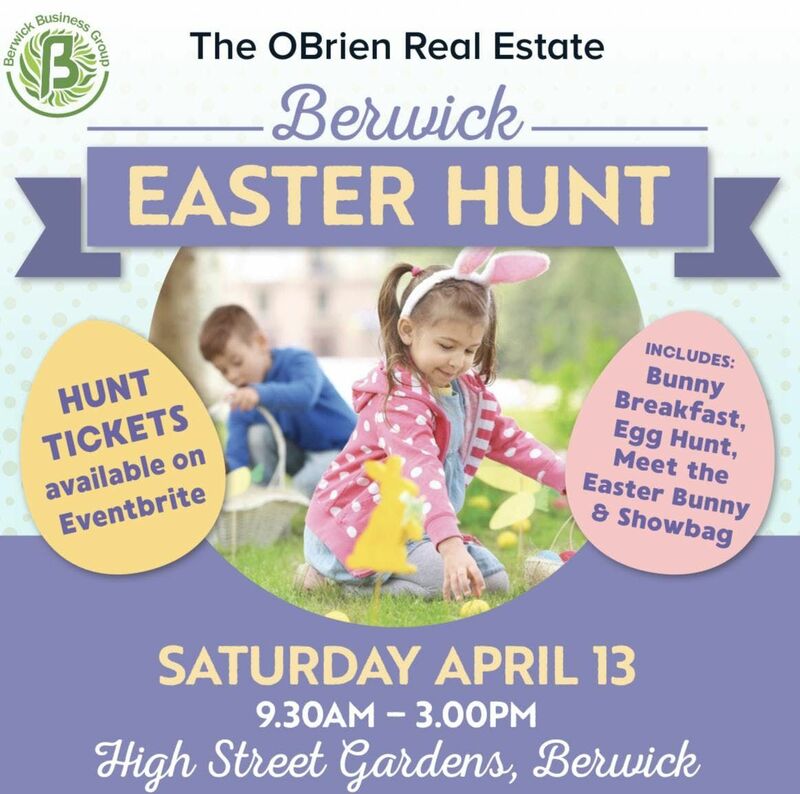 Then the Easter Egg HUNT begins 10.15am , in our very quaint mini Easter wonderland area amongst the lush green trees of Berwicks High Street. Please arrive 10mins before your session. NOTE that you must sign a disclaimer on behalf of your child to allow them to participate, Children under 3years are permitted to enter the guarded off area with an adult. Note that if you are late you forfeit your spot, we will attempt to only place you in next hunt time IF spots are available. Coloring area to entertain kids on the day. Many Traders and stores open with Easter Specials and Sales! Follow the Balloons. If rain predicted on the day, the event will be cancelled, payment refunded. Thanks to Blush Events for the set up and coordination on the day of the Easter hunt area.